Following is an overview of the laws, limits, and fines as they relate to speeding traffic violations in the state of Indiana. Divided highway and other freeway speed limits may vary depending upon the type of area they pass through, and are as posted. Due to variations in speedometer calibration, tire size, and margins of error in speed-detecting technology, it’s uncommon for an officer to pull a driver over for going less than five miles above the speed limit. However, technically any amount over can be considered a speed violation so best practices are to stay within the limit. The driver may claim a case of mistaken identity. If a police officer clocks a driver speeding and subsequently has to find them again in traffic, it’s possible that they could have made a mistake and pulled the wrong car over. 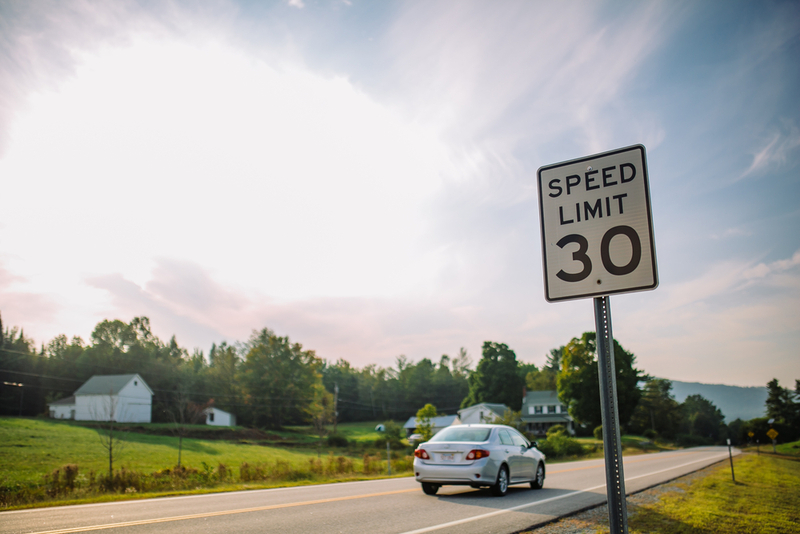 In this state, traveling 30 mph or more over the speed limit is automatically considered reckless driving. Violators may be required to attend traffic school, and/or may be able to have their speeding fine reduced by attending these classes.